YOUR WORKPLACE CULTURE CAN BE AS COMPELLING TO OUTSIDERS AS IT IS TO CURRENT AND POTENTIAL EMPLOYEES. opportunity to be a part of something you love. If you’ve made it this far into our little guide (seriously, go outside), you’re already familiar with the public side of branding—that is, how to differentiate your brewery and tell a compelling story to attract new fans. But we wanted to explore another benefit of understanding your core values, your “why,” and your brand essence—creating an awesome company culture that will attract and retain the best people in your community. The idea of company “culture” has been sullied a bit as of late with visions of Silicon Valley tech start-ups slinging Nerf darts at each other across foosball tables, but I promise it’s deeper than this. Your culture is driven by your core values and brand essence. It’s why you brew your beer the way you do. It’s your workplace environment. It’s about working together to solve problems, celebrating victories and working through failures as a team. Your culture is driven and shaped by the amount of ownership your people can take in the brand. It unites and aligns everyone, from the owners and head brewers, to the sales and marketing people, to the volunteers filling growlers, to the delivery driver, behind one compelling story. 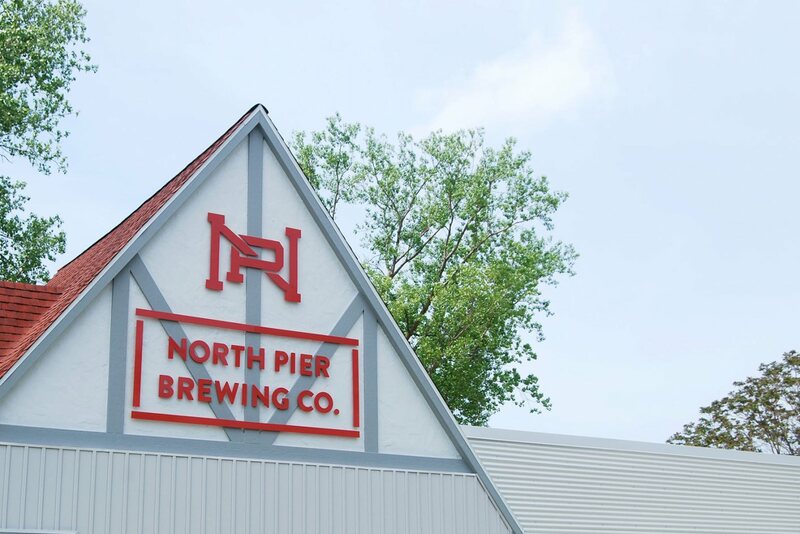 North Pier Brewing’s (Benton Harbor, MI) branding pays homage to Benton Harbor’s industrial past and recent revitalization. See more of our work for these great guys here. And this shouldn’t be forced. There are corny manifestations out there, but your people should be excited to get up in the morning and go to work. They should be buzzed about it and tell their friends and family about what they do and bring them into the brewery nonstop. WHAT ARE YOUR CORE VALUES & BRAND ESSENCE? WHAT ROLE DOES YOUR BREWERY PLAY IN THE COMMUNITY? DO YOU GIVE EMPLOYEES FREEDOM TO TAKE OWNERSHIP OF YOUR BRAND? What is YOUR IDEAL EMPLOYEE like? HOW WOULD YOU DESCRIBE YOUR BREWERY / WORKPLACE? HOW DOES YOUR TEAM WORK TOGETHER TO SOLVE PROBLEMS? Company culture is something that tends to form organically, but it can be shaped. As with anything, you need to actively write that narrative. If you’re in a leadership role, you need to brew the best beer possible, treat employees and vendor partners with respect, and have a firm grasp on your origin story. If you can do these things, you’re half way there. The rest begins from the day you open up shop and continues as long as you’re in business. It’s the continual telling of your story and ultimately shapes who you are, what you do, and why you matter.